Art.123(2) EPC – what else? As a second installment in the story of how French courts seem to have gotten tougher on extension of subject-matter, I would like to say a few words on our local share of the much commented upon Nespresso IP saga (see e.g. here). Of the two European patents of the same family that the patentee Nestec and its licensee Nespresso France asserted against several defendants, one (let’s call it the divisional patent) was revoked by a Board of appeal of the EPO, for… well, extension of subject-matter. The other one, namely the parent patent (EP 1646305), went unopposed. But the patent proprietor filed a request for national limitation at the French patent office – in parallel to the ongoing infringement suit. It is therefore the patent as limited in France that was held invalid by the court. Claims 1 to 9 of the patent as limited are directed to a device for the extraction of a capsule provided with a collar. Claim 10 is directed to the device of claim 6 and a capsule in combination, and it further specifies that the capsule is frustoconical and is asymmetric with respect to the plane of the collar. The court found that the subject-matter of the EP’305 patent as limited unallowably extends beyond the contents of the application as filed for three different reasons. The first one is the feature of the capsule being provided with a collar. The application as filed does disclose a coffee capsule provided with a collar but, said the court, only specific capsules of this kind, namely those described in a prior art document EP 0512148, as opposed to any capsule with a collar. The capsules disclosed in EP’148 are asymmetric, frustoconical, and the collar is situated on the larger end of the cone. If it is true that the capsules in question are not directly described in this application, it remains that the reference that it contains to the ‘148 patent must be taken into account so as to understand which capsules are meant. As the defendants rightly point out, this ‘148 patent discloses capsules, made of a soft material, of a frustoconical […] shape, with the collar present on the larger end of the frustum. Now, the patent as limited does not reproduce these specifications in its claim 1, since it simply describes a capsule with a collar, without mentioning its shape nor the position of this collar. It is true that, as noted by Nespresso, claim 10 expressly recites that the capsule comprises a collar and an extraction face, and that it is frustoconical. However, this claim does absolutely not mention the position of the collar, and there is no indication that it is located on the larger end of the frustum, whereas it can also be located elsewhere, for instance on the smaller end or also in the middle of the capsule. This omission, which causes the patent as limited to protect a collar which is less specific than the one deriving from the reference made in the patent as filed to the ‘148 patent, is such that it has a scope of protection which is more extended than the initial protection. This is an extension beyond the application, which as a consequence invalidates claims 1 and 10 of the patent in suit. 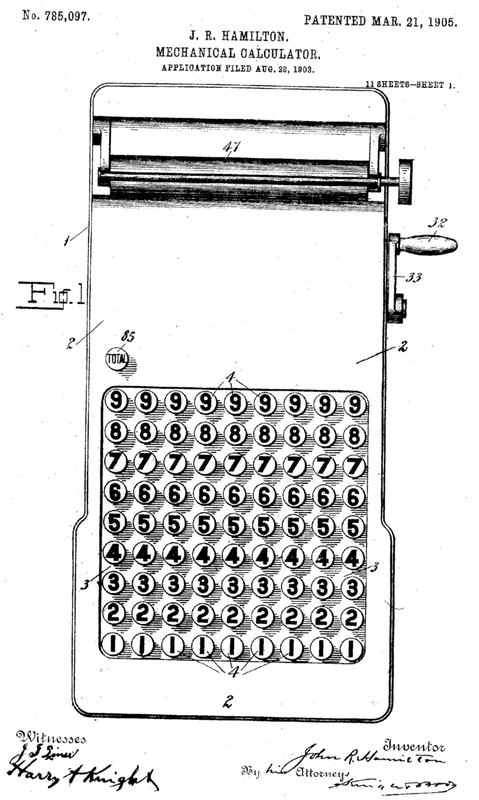 Although the expression is not used here, this is a finding of intermediate generalization: during examination proceedings and post-grant limitation, the patentee isolated some features relating to the capsule that is to be used with the device of the invention, without taking the full picture of said capsule. But what is more original here is that the omitted features were not expressly recited in the application as filed. In fact, this is an intermediate generalization relative to the contents of a prior art document cited in the application – in other words a prior art document which the court has considered as being incorporated by reference in the application. I will skip the second reason for invalidating the patent, which is probably less interesting in the context of this post, and instead I will then turn to the third reason. 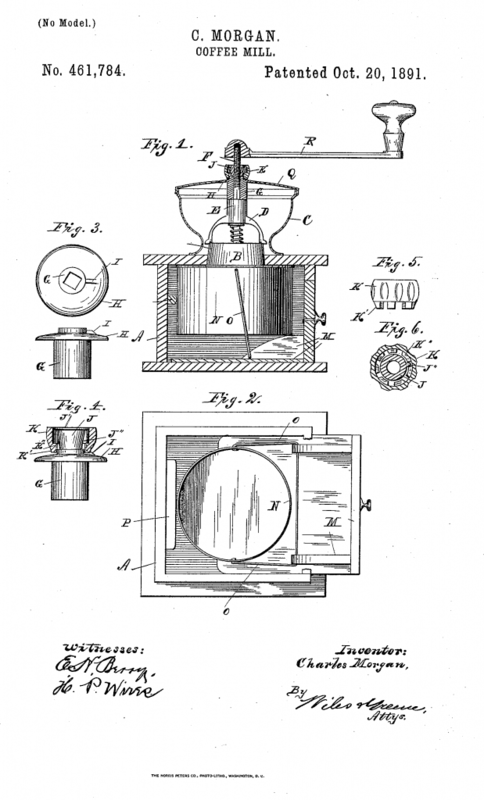 However, when carefully reading the application as originally filed, it is obvious that this was then only a device patent, describing and protecting “a device for extracting a capsule, as well as the machine comprising this device”, wherein the capsule appeared only in a minimal way, so as to state how it was arranged and how it was extracted, but it was never, as mentioned above, really described for what it was, the only details that were provided being that the capsule was “asymmetric with respect to its collar” and that it could be “of any type”. Thus, this is again obviously an extension beyond the application purporting to protect capsules which were not protected before, and the fact that the interaction between the device and the capsules was described did not have the effect at that time to protect these capsules as much as they have been since the grant and even more so since the limitation. As rightly put by the defendants, this extension cannot be portrayed as insignificant, since it is precisely what makes it possible for the plaintiffs to sue them for infringement today, blaming them for marketing such capsules. This is an interesting situation because, to some extent, it could be argued that the notion of “combination” between a device and a capsule did not add any new technical information relative to a thorough description of how the device interacts with the capsule. Nevertheless, the court found that the combination claim dramatically altered the subject-matter of the patent, and its potential use against third parties, by making the capsules themselves part of the invention. With regard to Article 123(2) EPC, the underlying idea is clearly that an applicant shall not be allowed to improve his position by adding subject-matter not disclosed in the application as filed, which would give him an unwarranted advantage and could be damaging to the legal security of third parties relying on the content of the original application. It seems that the TGI took the same view that legal security of third parties is a paramount concern when examining compliance of a patent with Article 123(2) EPC. As bitter as that coffee may be for some, going back to the raison d’être of this rule (which is undoubtedly one of the cornerstones of the European patent system) before applying it to the facts of the case does make a lot of sense. 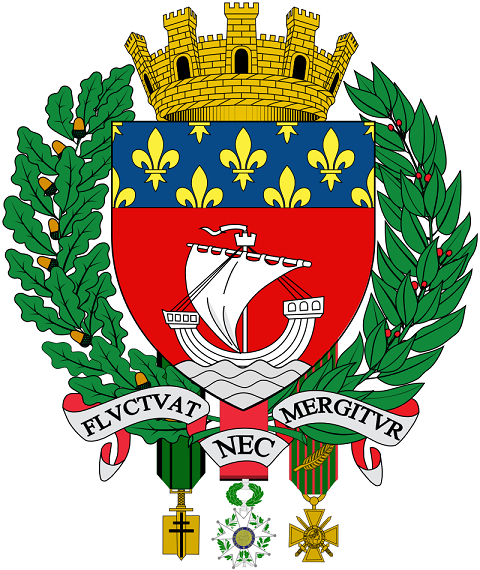 CASE REFERENCE: Tribunal de Grande Instance de Paris, 3ème chambre, 2ème section, Nestec et al. v. Cafés Folliet et al., October 3, 2014, RG No. 10/10179. Posted on November 30, 2015 November 29, 2015 Categories Extension of subject-matter, French case law, Validity1 Comment on Art.123(2) EPC – what else? Based on a number of judgments issued in France over the last couple of years, it seems that there has been a new trend towards the invalidation of patents due to extension of subject-matter. I have a feeling that, not so long ago, this used to be a ground of revocation that no one really took seriously outside of the EPO. And especially so in France, where there has been a long standing tradition of judges looking more closely at the description of a patent than at its claims, and coming up with their own definition of what the invention really is about, notwithstanding the exact wording used in the claims. But as a famous singer once said, the times they are a-changin’, which brings us to the invalidation proceedings initiated by Normandy-based company Nexira against the British and Japanese owners of European patent EP 1611159. The patent relates to a modified gum arabic from Acacia senegal (that’s the scientific name of the tree from which the gum is collected). This gum can notably be used as an emulsifier in food products. A water-soluble modified gum arabic from Acacia senegal, having a weight average molecular weight of not less than 0.9 million Da or an arabinogalactan protein content of not less than 17 weight %, and an RMS-radius of gyration of 42.3 to 138 nm, obtainable by heating unmodified gum arabic at 110°C for not less than 15 hours, wherein the weight average molecular weight, arabinogalactan protein content, and RMS-radius of gyration are obtained by processing the data obtained by subjecting the modified gum arabic to a GPC-MALLS using software ASTRA version 4.5 and wherein said data for the whole peaks in the chromatogram obtained using an RI detector are processed as two peaks, the two peaks being divided into the eluted fraction of high molecular weight components containing the arabinogalactan protein of the gum arabic which eluted first and the eluted fraction of low molecular weight components which eluted at a later time, wherein the arabinogalactan protein content corresponds to the obtained recovery ratio of the peak of the eluted fraction of high molecular weight components which eluted first. The crux of the discussion was the feature of the radius of gyration. The range of 42.3 to 138 nm was not disclosed per se in the application as filed; but the end values of the range were disclosed in the context of two respective examples. It is possible to generalize a range of values from an example, but such intermediate generalization is only admissible under Art. 123(2) EPC if the skilled person can deduce without any doubt from the application as filed that these features are not closely linked to other features of the embodiment, but that they directly and unambiguously apply to the more general context. In order for this intermediate generalization to be admissible, it must result from the non-ambiguous information that the skilled person would derive by reading the example and the content of the application as filed. Taking into account the whole content of the application, determining whether features isolated from the examples are closely tied to other features or not, and using direct and unambiguous derivability as a threshold: all European patent attorneys are familiar with these principles, as they are cornerstones of the assessment of extension of subject-matter by the Boards of appeal. In the present case, the skilled person could not deduce, without any doubt, when reading the international application, that these features, taken from two embodiment examples based on gum arabic having particular dimensions and composition, are not closely linked to other features of these embodiment examples, and directly and unambiguously apply to the more general context. As a result, the addition of this range of radius of gyration RMS in claim 1 of the EP’159 patent whereas it was not in claim 1 of the international application, shows an extension of its subject-matter beyond the initial application. 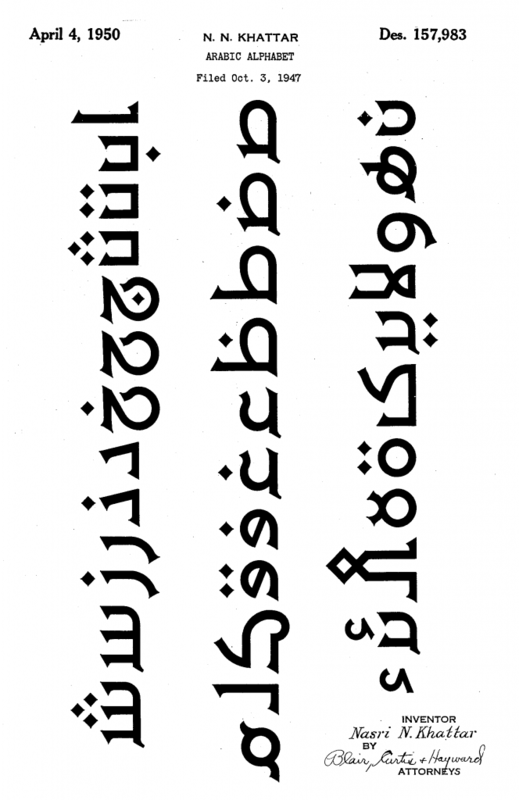 How do you write “gum” in Arabic? Strictly speaking, it would have been interesting to get more detailed explanations in the decision as to why the radius of gyration in the examples should be viewed as being specific to the samples in question. One can also wonder about the relationship between the range of the radius of gyration and the other parameters recited in the main claim, such as the molecular weight, the protein content and the product-by-process features. The question of who primarily has the burden of proof in this respect (the plaintiff or the defendant-patent proprietor) is also an interesting one which is not clearly addressed in the judgment – as there was probably no reason for addressing it. Anyway, the outcome of the case should not come as a real surprise: it is a risky gamble indeed to take values from an example section of a patent application and insert them into a claim. If the patent at stake had been subjected to opposition proceedings, chances are it would probably have faced a hard Art. 100(c) EPC challenge. The patent proprietors were lucky enough not to be faced with an opposition; but not lucky enough to get their patent tried by a court insensitive to EPO traditional case law. This situation stands in sharp contrast with other French cases previously discussed here and here, where major deviations from EPO case law were observed, in connection with the issue of patent eligibility. CASE REFERENCE: Tribunal de Grande Instance de Paris, 3ème chambre, 4ème section, Nexira v. San-Ei Gen FFI Inc. et al., May 28, 2015, RG No. 12/11963. In this second post on damages assessment in the Vorwerk v. Taurus case, I will focus on the computation of the royalty rate used for the assessment of damages (the first part of the story is here). According to established case law, the rate used for assessing damages needs to be based on a reasonable royalty rate that the parties would have agreed on, had they negotiated a license agreement, but then a multiplying factor needs to be applied to the basic royalty rate. This is often termed an indemnifying royalty. Some believe that, according to a fundamental principle of civil law, damages cannot have a punitive nature as they are meant to repair a harm suffered by a victim (“all the harm, but not more than the harm”). Thus, an indemnifying royalty simply reflects the fact that a defendant found guilty of infringement would not be in a normal bargaining position and would be put at a disadvantage at the negotiation table. […] One should take into account the detrimental situation that the patent proprietor is in, since they have to put up with an exploitation of the invention that they have not decided. It would thus be unfair to simply apply a royalty rate equivalent to the one that they would have agreed on if they had negotiated a license agreement. In the case at hand, the court was confronted with three different calculations of a royalty rate. The first calculation was the expert’s: the defendants’ operating margin before taxes is 9.6%. A normal royalty rate should thus be 25% of this figure, so approximately 2.5%. However, this rate should further be cut in half and then rounded up to 1.5%, taking into account the fact that the importance of the patent was not paramount for marketing the food processors at stake. Then, three possible multiplying factors were offered by the expert to the court, namely 1 (which is not much of a multiplying factor), 2 or 3. The second calculation was the plaintiff’s: the main difference between this calculation and the expert’s is that the plaintiff requested that the rate be calculated based on the defendants’ contribution margin, which was assessed to be significantly higher than the operating margin before taxes, at 22%. According to the plaintiff, some fixed costs were erroneously deduced by the expert from the margin, since the defendants would have supported these fixed costs anyway. Then, the plaintiff suggested a royalty rate of 25 to 33% of the above margin, to which a true multiplying factor should be applied. The plaintiff disagreed with the expert’s finding regarding the lesser importance of the patent for the food processors at stake. But on the other hand, they agreed that those food processors in which the infringing steam-cooking cover was only optional (namely the Mycook Pro series) should be subjected to a lower overall rate than food processors in which the infringing steam-cooking cover was mandatory (the Mycook series). Last (and least, in terms of figures), the defendants’ calculation was based on the proposition that the royalty rate should not be based on the overall turnover of the complete food processors, but rather on the turnover attributable to the steam-cooking cover. The price of the cover represents approximately 8% of the overall price. As far as the royalty rate itself is concerned, Taurus sided with the expert’s proposition of 2.5% to be cut in half – so, 1.25% without any rounding up. Taurus objected to any multiplying factor, by relying on the principle recalled above that there cannot be punitive damages under French law, and by adding that Vorwerk did not suffer from any negative consequence in the absence of evidence of any direct or indirect exploitation of the patent. 0.1% for all processors, if my math is correct: 1.25 % times 8 % (defendant). The court selected the middle option, namely the expert’s. And among the three possibilities offered by the expert, they chose again the middle one, namely the 3% rate. represents an allocation key which is commonly accepted in terms of patent licensing. It is indeed common thinking in patent licensing that approximately one fourth to one third of the profit made by the licensee owing to the invention should be paid back to the licensor, while the licensee should keep the rest of the profit. It is rather comforting that the court adopted this real-world pragmatic approach. […] In the marketing of the food processors at stake, the part taken by the exploitation of the patent itself needs to be put into perspective and reduced since other intangible assets may have contributed to the sales of these products. Again, this looks like a sound approach. Traditional French case law on computation of damages was mainly established in situations wherein one invention equals one patent equals one product. But this probably no longer correctly reflects the current state of affairs, IP-wise. Even though food processors are not smartphones which incorporate technologies protected by thousands of patents, it seems plausible that they may incorporate a number of patented inventions – not to mention other sources of value. Finally, the court applied a multiplying punitive-like factor of 2, apparently trying to strike a balance between a low factor which would be unfair to the patentee who did not agree to the exploitation of their patent, and a high factor which would also be unfair since the patentee did not clearly explain how the patent is directly or indirectly exploited by them and thus how there could be additional economic harm. As mentioned in the first post on this topic, an additional amount of 6,255 euros was also awarded in terms of financial harm. This additional amount was calculated by the expert (with the approval of the court) based on the long-term interest rate in Germany, and was meant to compensate for the accrued interest that the claimant should have earned based on the collected royalties. It would be interesting to see whether readers believe that other national courts in other European countries would have likely come up with the same kind of figure or whether there are any marked differences of approaches. CASE REFERENCE: Tribunal de grande instance de Paris, 3ème chambre, 2ème section, September 26, 2014, Vorwerk & Co. Interholding GmbH v. Electrodomesticos Taurus SL, Lacor Export, Lacor Menaje Profesional SL & Taurus France. RG No. 2008/10729. This has been our city’s motto probably for centuries. And it remains our motto today despite our horror and sorrow after the events of last night. As interesting as revocation verdicts may be, patents are sometimes found valid and even infringed. In such a case, a court in France has two main options for determining the amount of damages: either they decide on the quantum in the same ruling in which the patent is found valid and infringed, or they decide on validity and infringement first and then appoint an expert with the task of making a recommendation to them; it is in view of the expert’s report and of further submissions of the parties that the court then determines the quantum. Damages computation tends to be more detailed and better reasoned in cases of the second category than cases of the first category. Therefore, I thought it would be interesting to have a closer look at one recent case where use was made of an expert, as an example of computation methodology. On January 11, 2011, the Paris Tribunal de Grande Instance (TGI) held that Electrodomesticos Taurus SL and other codefendants infringed a European patent owned by Vorwerk & Co. Interholdings GmbH by inter alia importing food processors of the brands Mycook and Mycook Pro into France and marketing those on French territory. The TGI appointed an expert and entrusted him with the task of estimating the proper amount of damages. This second part of the procedure led to another judgment handed down on September 26, 2014 – yes, this is three and a half years later I am afraid. In this judgment, Vorwerk was awarded 127,367 euros of damages corresponding to lost profits, and 6,255 euros corresponding to financial harm. However, since they had already been awarded 310,000 euros as a provision on damages, they in fact had to pay the difference back to the defendants. although the initial validity and infringement verdict was confirmed on appeal on February 15, 2013, the Cour de cassation (supreme court) set aside the appeal judgment on November 25, 2014, due to some procedural violation during the appeal proceedings, and remitted the case back to the Cour d’appel in a different composition. So, on the procedural standpoint, this is a relatively unusual and interesting situation indeed. Anyway, let’s go back to this amount of damages of 127,367 euros and how it was reasoned by the court. Vorwerk had not been working the patent itself – although other companies of the same group had apparently been. Therefore, the “lost profits” that they claimed were in fact lost royalties. In order to assess these lost royalties, a classical two-step process was applied: first, the turnover generated by the infringement (or “infringing mass”) was calculated; second, the royalty rate was assessed. As to the first step, the court defined the starting point and the end point of the period of time during which infringement took place. The end point was the date of the first judgment on validity and infringement. The plaintiff requested that posterior acts be also taken into account but this request was denied since such posterior acts were prohibited by the injunction pronounced in the first judgment, so that any breach of the injunction should give rise to specific remedies (to be recovered in different proceedings). The starting point was taken to be three years prior to the commencement of the legal proceedings against the defendants, in keeping with the French statute of limitation (the limitation period has now been extended to 5 years according to new legislation). One interesting defense raised by some of the codefendants was that they were not “direct infringers” so that the starting point should be postponed as far as they were concerned. Under French law, manufacturers or importers of infringing products are defined as direct infringers and are therefore liable for the infringement regardless of whether they were aware of it. In contrast, distributors, users or marketers of infringing products are liable only insofar as they are aware of the infringement – provided that they are different from the manufacturers / importers. Here, there were four codefendants: two Spanish companies and two French companies. The two French companies argued that they were not direct infringers, and therefore were only liable when they became aware of the infringement, that is when legal proceedings were started against them. It obviously derives from the judgment of January 14, 2011 that the court held Taurus France and Lacor Export [the French companies] liable for the importation acts and did not distinguish their case from that of Taurus Spain and Lacor Spain [the Spanish companies]. Besides, even though these companies are incorporated under French law and are located in France, it results from the statements provided by the defendants to the expert that Taurus France exclusively buys from Taurus Spain, and that Lacor Export handles order placed in France for Lacor Spain, so that they are co-authors of the acts of importation. Therefore they are liable regardless of any awareness. Consequently, the starting point for the infringement period should be three years prior to the commencement of legal proceedings against each company, as posited by the expert. The exact date of the starting point was not the same for all companies as legal proceedings were started against them at different points in time, but the take-away message here is that indirect infringers (such as marketers or distributors) having close ties with direct infringers (manufacturers or importers) are not viewed as actual indirect infringers but rather as co-authors of the acts of direct infringement. Then the court turned to the determination of which articles were infringing. Here, one issue was that some food processors were sold with a steam cooking cover while others were not. 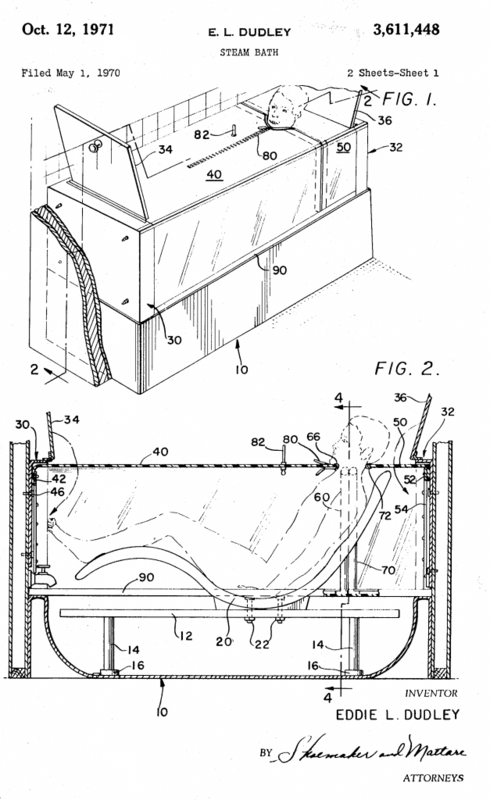 The court analyzed the first judgment and deduced from this judgment that the patent infringement was related to the presence of the steam cooking cover. Food processors sold without a steam cooking cover were not infringing. On the other hand, the defendants also marketed steam cooking covers independently of (the main part of) the food processors. The court decided that the number of infringing articles corresponded to the sum of (1) food processors sold with a steam cooking cover and (2) steam cooking covers sold separately. The court’s reasoning was that standalone steam cooking covers were necessarily meant to be used with food processors previously sold without a cover. Therefore, the sum of (1) and (2) should indeed be equal to the number of cover-equipped food processors held by end users. Based on the definition of the relevant period of time and of the relevant articles, the court was able to compute the overall turnover generated by the infringement – based on the numbers provided in the expert’s report. In the second post on this topic, we will look at the second main step of damages assessment, namely the computation of the royalty rate.